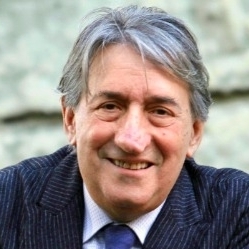 Innocenzo Cipolletta is Senior Advisor of UBS Italy Branch, Chairman of UBS Fiduciaria, Chairman of Fondo Italiano d’Investimento, Chairman of The University of Trento and Chairman of AIFI (Italian Private Equity, Venture Capital and Private Debt Association). He’s also Deputy Chairman of Assonime (Association of the Italian joint stock companies), FeBAF (the Italian Banking, Insurance and Finance Federation) and member of the board of Lunelli S.p.A.. Previously he has been Chairman of Ferrovie dello Stato S.p.A., the Italian state-owned Railways (from 2006 to 2010), Chairman of the daily financial newspaper Il Sole 24 Ore (from 2004 to 2007), of UBS Corporate Finance Italia S.p.A. (from 2002 to 2006) and of the Marzotto Group (from 2000 to 2003). He also held the position of Director General of Confindustria (the Italian Industry Association) from 1990 to 2000. He also held officer and executive positions at OCSE and at ISCO (National Institute of Business Research). The European House – Ambrosetti – Via F. Albani, 21 – 20149 Milano T. +39 02 46753 1 – F. +39 02 46753 333 © 2006-2015 The European House – Ambrosetti S.p.A. All rights reserved.